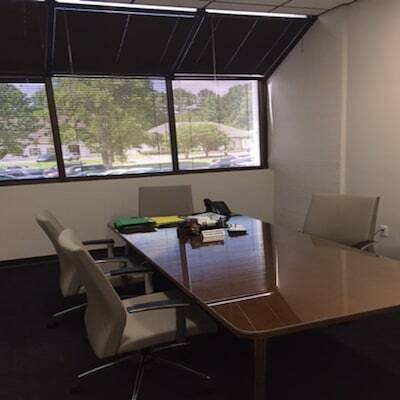 Coxwell Attorneys is located at the Riverhill Tower building on Lakeland Drive in Jackson, MS. Pictured below is the front of the building as seen from Lakeland Drive. When you pull into the parking lot from Lakeland Drive, pull around to the rear of the building. There is plenty of free parking available. Pictured below is the back of Riverhill Tower. Enter through the Riverhill Tower lobby doors. 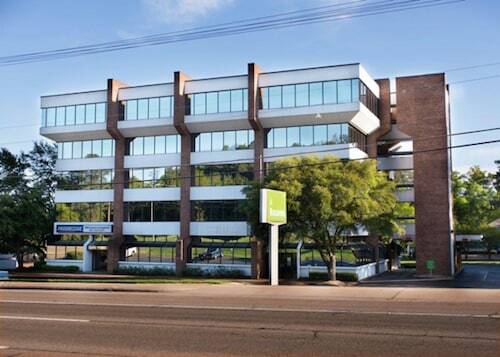 The entrance to our office is on the right. The entrance you see above under our sign is our handicap entrance which, if needed, you are more than welcome to use. 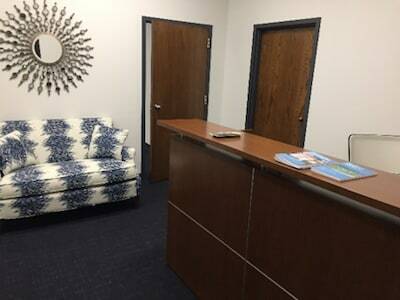 Pictured below is our lobby entrance. 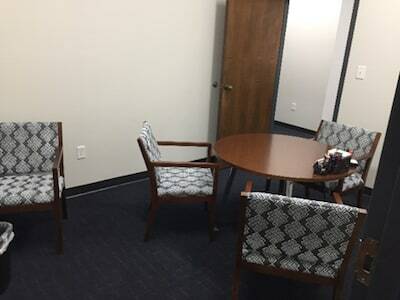 Our office consists of a reception area, 4 offices, 2 conference rooms, breakroom, supply room, and a spacious work area (see pictures below of reception and conference areas). 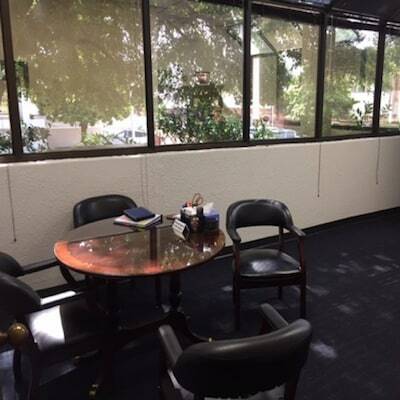 We moved to this location on May 1, 2017 in order to expand into a much needed larger space for attorney Frank Coxwell and his staff. 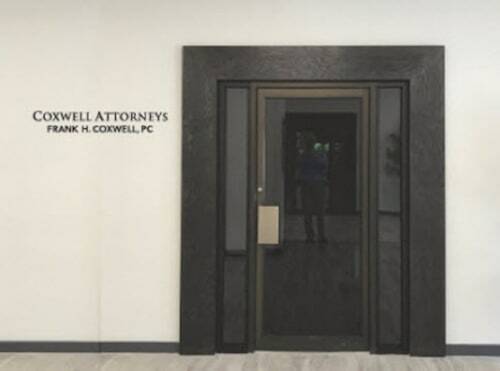 Formerly we were located at Coxwell & Associates, PLLC on State Street in Jackson, MS for many years where Frank’s brother, Merrida Coxwell, is the managing partner. Frank Coxwell is still “of counsel” at Coxwell & Associates, PLLC but is owner and manager of Coxwell Attorneys here on Lakeland Drive. Coxwell Attorneys refers serious personal injury, criminal cases, and other types of cases to Coxwell & Associates, PLLC and accepts referrals from Coxwell & Associates, PLLC in the areas of consumer bankruptcy, predatory lending, and other mortgage fraud issues. The appearance of Coxwell & Associates, PLLC and any of its active members on the Coxwell Attorneys website does not infer any legal relationship to or interest in Coxwell Attorneys law firm. The Coxwell Attorneys website refers to Coxwell & Associates, PLLC because the attorneys at both firms have and maintain a close relationship referring cases to each other.